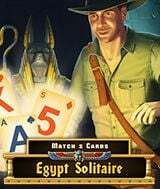 Download Egypt Solitaire Match 2 Cards for free at FreeRide Games! Egypt Solitaire Match 2 Cards isn't just a card game, it's a real journey! 120 unique card deals in a mysterious Egyptian atmosphere to help you immerse yourself in a story of ancient times! This game to be enjoyed by all who play patience games like Solitaire, Spider, Pyramid, Klondike, Medici, Vampire, Diamond, Nines, Fool's, Three, Hearts, Freecell, Half Moon, Golf, Three Towers, Yukon, Forty Thieves, Scorpion, Tower, Canfield, Algerian, Montana, Eight Off, Calculation, Clock, and King, Queen, Knave. Playing solitaire is always fun because the gameplay has withstood the test of time! Egypt Solitaire Match 2 Cards was created for those that love unusual deals! Find and quickly match pairs of cards and special multiplier will increase your reward! Buy bonuses for coins: shuffle, mulligan and Joker. Collect the required amount of gold cards and use them to unlock the following packs. Choose your difficulty mode - the Professional mode is a true challenge for solitaire connoisseurs! 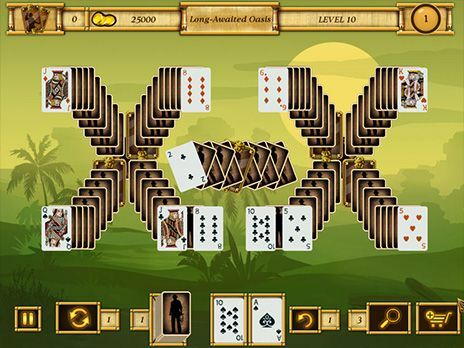 Solitaire card game for new players and experts alike!